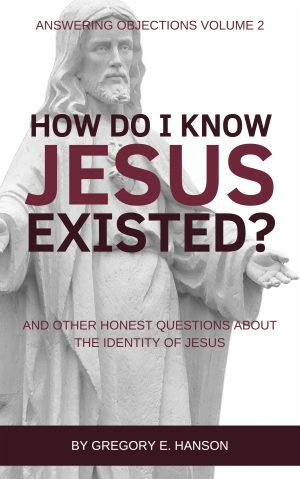 Home / Christian Living / What Would Jesus Say to Billy Graham? What Would Jesus Say to Billy Graham? For nearly 70 years, Billy Graham was one of the most respected, most admired, and most beloved people on the planet. He spoke before more people than anyone else in history, he personally counselled and befriended twelve Presidents of the Unites States, and he regularly met with the Queen, the Pope, and other world leaders. Today, as news of his passing at the age of 99 spreads, the world mourns its loss. William Franklin Graham, Jr. was born near the end of the First World War in 1918 in Charlotte, North Carolina. As the son of a dairy farmer, he attended a local revival service at the age of 16 and chose then and there to devote his life to Jesus. In the decades to follow, he would travel to more than 185 countries and territories, speaking to over 215 million people in person and reaching a total audience of more than 2.2 billion through the use of media. The focus of his message? An invitation to experience the transforming love and grace of Jesus Christ. Graham’s popularity first began to spread in 1945 when he became associated with an evangelistic movement called Youth for Christ as a traveling speaker. Then, from 1949 through 1952, he was propelled onto the world stage though a series of Crusades. 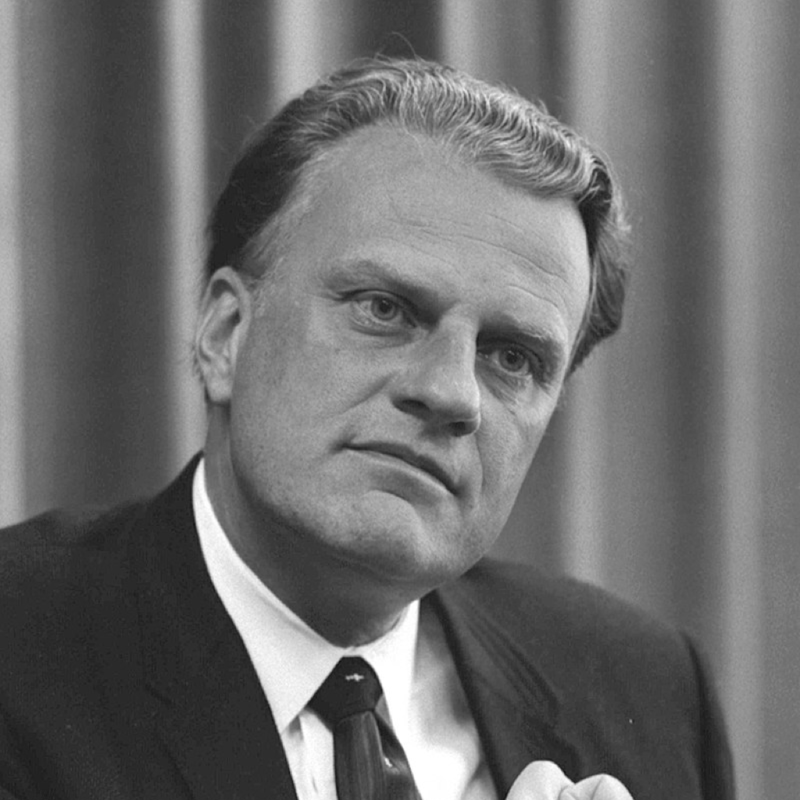 In 1950, he formed the Billy Graham Association and started broadcasting “The Hour of Decision” radio program that continued to run until 2015. He also launched a magazine called Christianity Today in 1956, which is still published today, both in print and online. Prior to his 1957 New York Crusade in Madison Square Garden, Billy Graham took criticism for meeting with Martin Luther King, Jr. and inviting him to lead the arena in prayer. At a time when racial tensions were high and social equality was practically nonexistent, this invitation signalled that Graham supported civil rights and believed that the idea of a Christian racist was an oxymoron. In addition, he steadfastly refused to visit South Africa until he was assured the audience would not be segregated. Along the way, he knocked down doors in favour of spreading the message of Jesus around the world. Never adverse to speaking in potentially hostile environments, he was the first Christian to preach publicly behind the Iron Curtain post-World War II. Beginning in 1978, he began preaching in virtually every Soviet country, visiting Moscow as early as 1982. He went on to hold several crusades in places like Budapest in 1989, Moscow and North Korea in 1992, and Beijing in 1993. When he spoke in Seoul, more than one million people attended a single service. And when he spoke in New York’s Central Park, an estimated 250,000 people showed up, making it the largest event ever held in North America. More significantly, an estimated 3 million people have responded during his crusades by stepping forward publicly and personally accepting the message of Jesus. During his lifetime, Graham received a number of honours, such as the Presidential Medal of Freedom and the Congressional Gold Medal, the two highest honours that can be given in the U.S. to a civilian by these two branches of government. He also became known by several unofficial titles, such as God’s ambassador, the pastor to presidents, and America’s pastor, which was evidence by the fact that, whenever the U.S. faced a national or international crisis, it regularly turned to Billy. He prayed at presidential inaugurations, spoke at the memorial service after the Oklahoma City bombing, and led the service at Washington National Cathedral after the attacks of 9/11. In public opinion polls and surveys, he consistently ranked among the most admired people in the world, appeared on the Gallup list of the top ten most admired men a total of 54 times. And in a survey for Ladies’ Home Journal (yes, Ladies’ Home Journal), he came in second in the category for “achievements in religion.” Who came in first? God. So today, as Graham enters into eternity and receives his reward, what words might Jesus say to him? Though purely speculative, here are six possible comments Graham might hear from his Lord. 1. You have lived as a man after My own heart. What do you pursue in life? What’s most important to you? 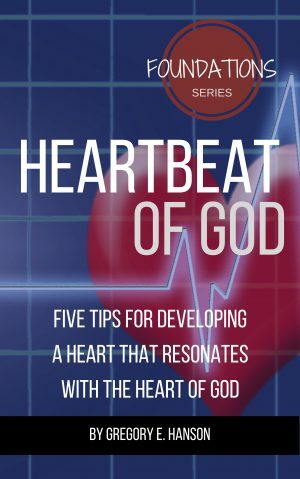 Are you living as someone after God’s own heart, or are you enamoured by other pursuits? As Jesus said, “Seek the Kingdom of God above all else, and live righteously, and he will give you everything you need” (Matthew 6:33, NLT). Are you living as someone after God’s own heart, or are you enamoured by other pursuits? 2. You made mistakes, but you handled them well. Graham had regrets, but was honest about them. When he sinned, he sought forgiveness. He apologized for mistakes, and whenever possible, made up for his wrongdoings. For example, Graham admitted that there was a time when he got a little too close to using his influence for political gain. Sure, he offered counsel to several presidents but sometimes it went farther than that. On occasion, he took sides politically and even considered throwing his own hat into the ring. For a time, politicians like Richard Nixon would cuddle up next to Graham as a means of looking good to the electorate. In the wake of Watergate, however, Graham began to distance himself from politics (though not from politicians). So in the 1980s when the “religious right” was gaining power, Billy Graham steered clear and warned other Christian leaders about the pitfalls of gaining political influence at the expense of spiritual impact. When the audio from some of the Nixon tapes were released, they contained disparaging comments made by Nixon against Jews, and Graham’s voice was heard agreeing with Nixon. Graham said that he did not remember making those comments, but admitted that he did apparently make them. Upon this revelation, he went directly to some Jewish leaders to seek the forgiveness of the Jewish community. He had made mistakes, so he tried to make amends. 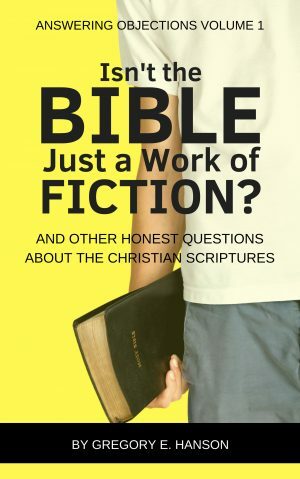 King David was a man after God’s own heart, but he also committed sins of his own. Most notably, when he committed adultery, got the woman pregnant, then arranged for the woman’s husband to be killed. When David was confronted with what he had done, however, he did not try to deny it, justify it, or sweep it under the rug. Instead, he expressed his deep remorse and repentance. “Wash me clean from my guilt. Purify me from my sin. For I recognize my rebellion; it haunts me day and night… Purify me from my sins, and I will be clean; wash me, and I will be whiter than snow… Create in me a clean heart, O God” (Psalm 51:2-3, 7, 10, NLT). When you make mistakes, how do you handle them? Are you honest about it? Are you remorseful, and do you do your best to make amends? Do you admit your mistakes, and do you try to make amends? 3. You have kept your focus on your calling. Billy Graham remained true to the message that Jesus is the way to God the Father. Because of this singular focus, he often faced criticized for taking a soft stance on particular issues. Or worse, no stance at all. While he opposes abortion, for instance, he did not become a spokesperson against it. Likewise, while clearly pointing the way to Jesus, he avoided bashing other religions. He refused to abdicate his calling by becoming distracted by other (even worthwhile) things. Though he did not dismiss the importance of other callings, he remained true to the one given to him. “My one purpose in life is to help people find a personal relationship with God, which I believe comes through knowing Christ.” When he could have become distracted by other good causes, he remained faithful to one God gave him. Another evangelist, the Apostle Paul, displayed the same unswerving singleminded devotion toward his calling. Though he could have directed his time and energies in other ways, he relentlessly proclaimed the message of Jesus to new audiences, taking the Gospel beyond the confines of the Jewish community. “I have fought the good fight, I have finished the race, and I have remained faithful. And now the prize awaits me—the crown of righteousness, which the Lord, the righteous Judge, will give me on the day of his return” (2 Timothy 4:7-8, NLT). What is the message God has given you to proclaim, whether through your words or your life? Are you focused on fulfilling your calling, or are you being distracted by other things? 4. Your greatest accomplishment has been in individuals, not crowds. The real significance of Billy Graham’s ministry was not the number of people who filled stadiums or the number of votes he got on popularity surveys, but the changes that happened in individual hearts and lives. Though he regularly spoke to the multitudes, he recognized the impact he (and others) could have on one person. The Apostle Paul had good reason to boast. He had been a prominent man in society, exercising power and demanding respect. Yet he came to realize that his status in society was worthless when compared with being used by God to transform lives. As he told the church in Philippi, “But whatever were gains to me I now consider loss for the sake of Christ. What is more, I consider everything a loss because of the surpassing worth of knowing Christ Jesus my Lord, for whose sake I have lost all things. I consider them garbage, that I may gain Christ” (Philippians 3:7-8, NIV). What standard do you use to measure your success? Is it the rewards and accolades you can receive from others, or is it the individual lives God impacts through you? The greatest sermon you ever preach may be to one person. 5. You have been a humble, faithful servant. Time and time again, people who met with Billy Graham commented on his deep humility, sincerity, and authenticity. There was no pretence about him—no ego, no conceit, no arrogance, no self-importance. Despite all his accomplishments, he remained a humble and faithful servant throughout his years. Throughout the decades, Graham exuded humility and faithfulness to the cause of Christ. He was a true servant who took to heart the words of Jesus, “The greatest among you must be a servant. But those who exalt themselves will be humbled, and those who humble themselves will be exalted” (Matthew 23:11-12, NLT). I’d rather be led by His nail pierced hand. I’d rather be true to His holy name. What do you seek in life? Are you looking for prestige, or are you content to be recognized as a servant of God? When you enter into eternity, will you be welcomed with the words, “Well done, my good and faithful servant” (Matthew 25:23, NLT)? Are you content to be a humble, faithful servant of God? Or are you distracted by other things? 6. You have left a legacy. Graham was a modern day apostle, taking the message of Jesus to places that were closed to anyone else. In addition to his public appearances, Graham also made use of other forms of media to spread the message of Jesus. He authored 33 books, most of them best-sellers. He was on the cutting edge of technology, too, embracing the use of radio and television as early as the 1950s. His organization has produced more than 130 movies (through World Wide Pictures). He made use of video during his Crusades long before most churches even considered it, he started a couple magazines, he published a syndicated column in the newspaper, and he was an early adopter of the Internet for spreading the Gospel. In 1995, he took advantage of satellite technology to simultaneously reach 185 countries via 3000 downlinks. All of this had an impact, but perhaps his greatest legacy will be the many evangelists inspired by him. In 1983, Billy Graham organized the Amsterdam Conference with a couple thousand evangelists from around the world in attendance. Another conference was held in 1986, with 10,000 attending. Another 10,000 attended Amsterdam 2000. What a legacy Billy Graham has left behind. He has gone to be with the Saviour who he spent his life serving, but even though Billy’s presence is no longer with us, his influence lives on. What fire are you lighting? How are you investing in future generations? Previous post: Why Does It Matter If the Resurrection Really Happened? Why Does It Matter If the Resurrection Really Happened?